We are one of the leading companies for the supply and installation of decking, feature fencing, pool fence and security fencing gates in Melbourne. With our wide range of best-in-class products, we cater to the requirements of the residential and industrial customers. We have earned a reputation in the market due to our high standards of quality and unparalleled customer service. 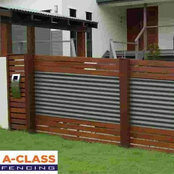 The motto of every employee working at AClass Fencing is to offer solutions that exceed the expectations of the customers in an affordable manner. We are known as the best timber fence supplier as we use the timber fencing materials of premium quality. 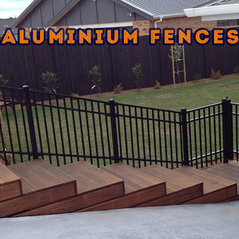 Our tradesmen can carry out all sizes and types of jobs for the security fence, privacy fence, garden fence and pool fence installation in Melbourne. Due to our several years of experience in the industry, we can guide you in selecting the right material, style and colour for decking and security fencing gates for your property based on the local climatic conditions as well as your needs and preferences. As a trustworthy Colorbond fence supplier in Melbourne, we ensure that your new fence not only provides you with the required privacy and security but also increases the visual appeal of your building. We also supply and install aluminium fences. We complete the project quickly and deliver superb results. To know more about our products or satisfied customers, visit our website or contact us today!